I drew in a deep breath, and held it there. 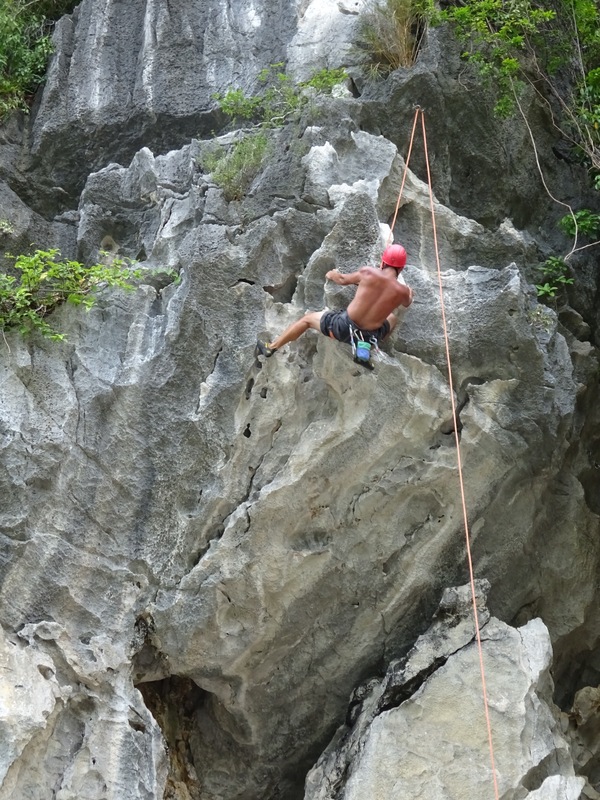 My eyes opened and I gazed up at the overhanging limestone cliff above. Exhaling slowly, I chalked up once more and readied myself for the ensuing battle. For a fleeting moment, I wondered why I do this to myself. And then I remembered why. This is exactly what I wanted. With the majestic, towering karst islands of Vietnam’s Lan Ha Bay as my backdrop and the empty beach below, the steep cliff face confronted me and dared me to climb higher. I reached my hands up and began to sink my fingers into the razor sharp holds, grunting and shrieking in a primal rage as I fought my way to the top. In Lan Ha Bay, all of my computer desktop wallpapers came to life.I slept on the deck of a boat and watched the stars. Then I swam with the bio-luminescent plankton at night and watched myself light up in the dark. I climbed the most beautiful, awe-inspiring crags of my dreams in the heart of Lan Ha Bay, surrounded by walls of towering karsts. And then I deep water solo’ed (DWS) up to 12-15 meters, and plunged into the warm waters below. I kayaked around untouched islands and learned to standup paddleboard (SUP) in a bay so quiet and calm that my voice echoed off of the limestone faces of the karsts. While on the road, I met so many other travelers who sought adventure, clean water to swim in, and beautiful sunsets – but had settled for a tourist package sold to them by their hotel/hostel. They were often disappointed by Ha Long Bay, the nearby UNESCO heritage site, and its water pollution, a bay overcrowded with tourist boats, and an itinerary that limited exploration. After I’d recount my experience of the plankton, the climbing, the kayaking, the complete lack of tourists, etc. I’d often get asked how they too can avoid the pack and do Ha Long Bay. 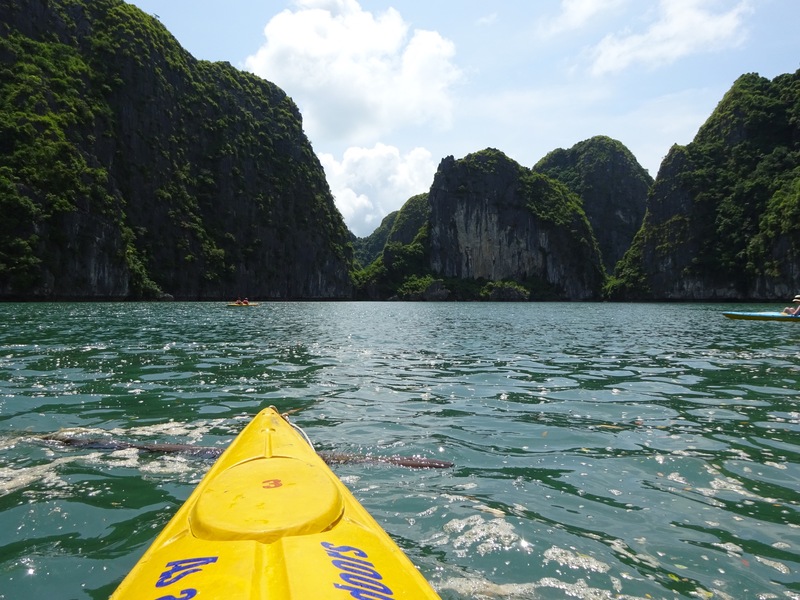 Just skip Ha Long Bay entirely, seek out Lan Ha Bay and create your own adventure.